Washington (AFP) – Tensions are mounting between Donald Trump and Iran — the US president’s raw tweet threatening Tehran was met Monday with a similarly bilious reply, upping the ante in the high-stakes game of diplomatic chicken. AFP / AFP. 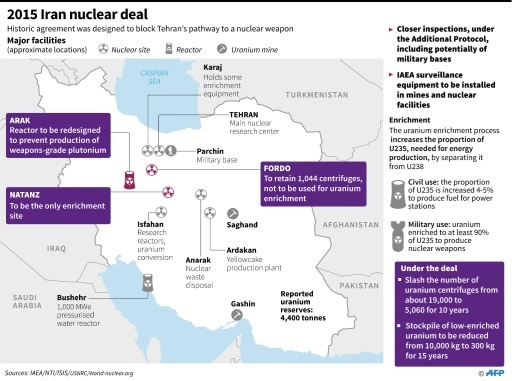 Map and factfile on the 2015 Iran nuclear deal — US President Donald Trump withdrew from the accord in May 2018. Featured Photo: AFP/File / Nicholas Kamm, HO. 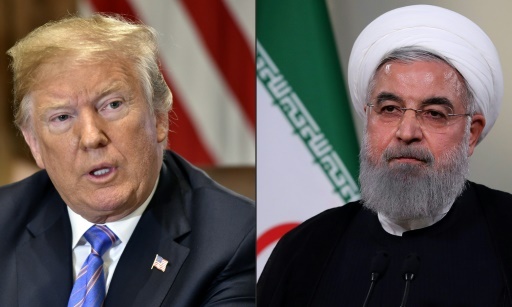 A war of words has erupted between US President Donald Trump and Iranian President Hassan Rouhani. Jerome Cartillier is AFP White House Correspondent. He has previously reported from Tokyo, Paris, London and Johannesburg among others. His reporting has also appeared in Business Insider, the Sydney Morning Herald, Yahoo, AlterNet, France 24, La Presse, Mail & Guardian, The Times South Africa, Middle East Eye, and Japan Today.